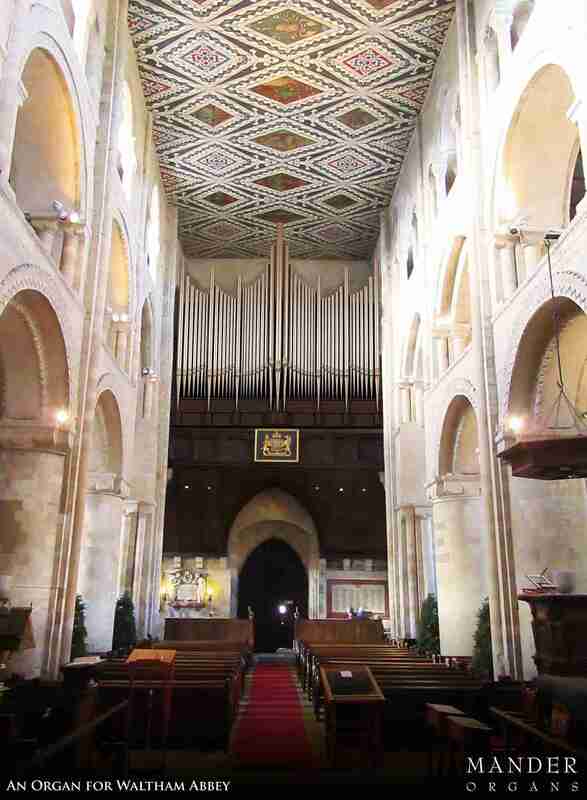 After Easter we will be returning to site to install the rebuilt three-manual organ by J.W. Walker & Sons at Waltham Abbey in Essex. Many of its builder’s distinctive tonal features, such as the Swell chorus reeds and the Orchestral Oboe and Clarinet on the Choir, are to be retained in what from a mechanical viewpoint, will be a substantially new instrument including new soundboards, expression boxes, framework and winding. The detached console case of 1953 (which stands with the choir at the east end of the building) is being fully refurbished and upgraded, to include new drawstop jambs and toe piston sweeps.